SEMrush is an SEO software designed to track keywords, give competitor insights, and plan keyword campaigns for its users. Its features include analytics, advertising research, keyword research, backlinks, and more. In this article, we cover user reviews and pricing. Ready to try SEMrush? Contact their support team for more information. Users who gave SEMrush a positive review said that the easy-to-read dashboard allows them to see all the information they need in just one glance. They also commended its extensive SEO tools, regular software updates, and excellent customer support. Users who gave SEMrush a negative review commented that while it is fairly easy to use, non-technical users would have a hard time learning how to navigate it. They also mentioned the lack of tutorial materials about using its different features. SEMrush has four paid subscription plans: Pro ($99.95/month), Guru ($199.95/month), Business ($399.95/month), and Enterprise (customized pricing). The main differences between the plans include the maximum number of keyword analytics reports per day, as well as access to premium features such as branded reports, historical data, extended limits, and more. Ready to try out SEMrush? Contact their support team for more information. Best SEO Software For Small Businesses: Web CEO vs WooRank vs Rank Ranger — SEO software is a part of a balanced and comprehensive SEO strategy to help your website gain traction and compete for valued and trusted organic search results. In this guide, we looked at the most popular options and rising stars and decided to review and compare Web CEO, WooRank, and Rank Ranger in terms of ease of use, features, and price. How can SEMrush users upgrade or downgrade their account? SEMrush users who wish to upgrade or downgrade their account can contact the company’s sales team via phone or email to process the request.There are no restrictions on the number of downgrades, but users might lose their existing projects. The data for their projects are stored 30 days after downgrading in case the user chooses to re-upgrade to recover their data. 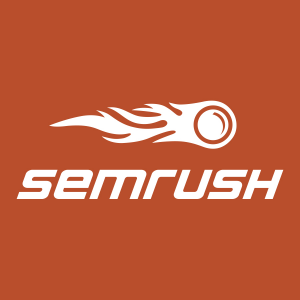 Does SEMrush offer a money back guarantee? Yes. SEMrush offers a seven-day money back guarantee on any of its subscriptions plans. To get a refund, users need to send the company a request via email or their contact form within seven days after signing up or renewing. Not sure if SEMrush is the right fit for you? Read our reviews of all top SEO software providers or check out one of these three SEMrush competitors. The website audit features provide great insights into the issues your website is facing. The tool enables users to conduct extensive competitor and keyword research. I like how I can monitor paid, organic, and display ads all from one place. Reporting templates should be easier to use. It would be great if the user created reports could be resized, adjusted, and changed on the fly in an easier way, I would like more drag and drop functionality. This can be a powerful tool if you have at least a fair level of experience in digital marketing; however, I think some people might be overwhelmed with how many features SEMRush offers. SEMrush is great at making a user-friendly system. I found everything easy to use and there were plenty of training videos to get me started. I feel as if some things are a little complicated to grasp on the site. I wish I had known the pricing system better. It’s very expensive. 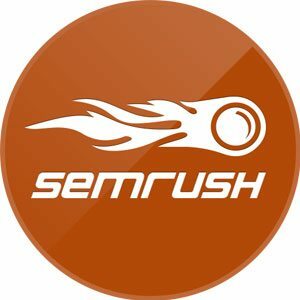 SEMRush is a great solution for a company that needs insight into search engine marketing trends, but doesn’t have an SEO team built out for it. You can very easily search terms for search volume and see related key words. You can also put in website URLs to see what keywords they rank for and what trends have happened over time. SEMRush isn’t great for subdomains. If you search for a company that has a parent URL you’re only going to get the parent URL’s results. This also isn’t as powerful as other tools I’ve used, like BrightEdge. I wish it had more analytics to offer and a competitor analysis. I wish I knew more about what the different levels of pricing offered. My current company didn’t want to pay a premium for BrightEdge so we ended up using SEMRush but it isn’t as powerful of a tool. If your goal isn’t gaining SEO rankings or tracking them over time, SEMrush is probably a good solution. SEM Rush has an ever-growing suite of competitor intelligence tools, giving you the ability to estimate the traffic of a competitor, compare backlinks and perform detailed SEO audits. As an SEO, I find the product invaluable when it comes to finding keyword gaps between websites and performing toxic link removal audits. Honestly, the pricing is too high for individuals. The minimum package is “Pro” which sets you back $99 per month. I’ve been fortunate to have access to the mid-tier Guru package through my last two employers, but I couldn’t justify spending that money myself for my freelance work. I’ve also marked them down for ease of use, as many of the best features are buried deep in the projects section, which many beginners may not even realise if they don’t create a project. That I would fall in love with it, but not be able to afford it! They definitely need to offer a separate, more affordable package just for freelancers. Perhaps based on usage, in a similar way to how they sell API credits. Awesome onboarding call with a rep to explain how to set up the platform. – Great integrations with google analytics and google search console. 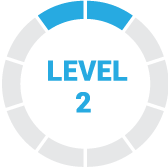 Dependable reporting functions and the ability to customize the reports and download as pdf. – Well researched user workflows for different personas. Backlinking functionality not as sophisticated as some other competitors as the crawl history is not as great. Also a lot of new features are still in beta. Nothing, was recommended to use software by a colleague.